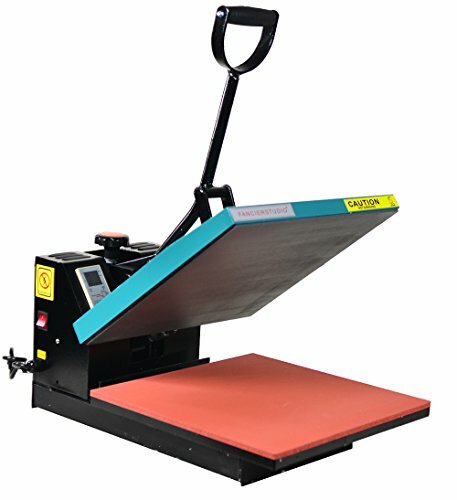 Brand new model by Fancier--15-by-15-inch industrial-quality digital heat press with improvements from the previous model. The silicon rubber base is now glued down. This heat press is compact and is an upward-opening model, which saves space. Ideal for applying transfers, letters, numbers, and images on t-shirts, garments, bags, mouse mats, jigsaw puzzles, ID bages, ceramic tiles, and other items.